I thought you might like to read it without all the annoying ads on the Press Telegram page. "You must not be anxious about my not coming back," Alan Seeger had written his mother in June of 1915. "The chances are about ten to one that I will." Alan, whose brother was the father of folk singer Pete Seeger, was 28. He had graduated from Harvard University, and spent two Bohemian years in New York's Greenwich Village. Following this, he moved to Paris, where, when World War I broke out, he enlisted in the French Foreign Legion. His admonition to his mother not to worry about him proved to be unfounded. On his nation's birthday, July 4, 1916, he was killed by machine-gun fire at the Battle of the Somme. Seeger was buried in the battlefield's cemetery. Witnesses said he had spent his last seconds by cheering his fellow soldiers to victory. Along with Joyce Kilmer ("Trees") and John McCrae ("In Flanders Fields"), Seeger was one of the great soldier poets of World War I. Summer had seemed reluctant to leave that year. Oct. 5, in fact, was such a lovely day that President John F. Kennedy's National Security Council held its regularly scheduled meeting outdoors, in the Rose Garden of the White House. The president's daughter, Caroline, was 5 years old then, and the outdoor meeting made her father more accessible to her than he would otherwise be. Standing at his side, she tugged for his attention. She had something important to tell him. For a time or two, he was able to put her off with the "not now" defense used by all parents. It was a monumental poem for a 5-year-old to memorize, let alone recite. But the president's daughter did so flawlessly. She had been coached, however. 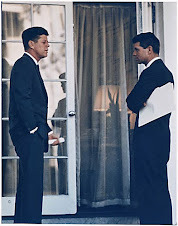 Seeger's "Rendezvous" was Kennedy's favorite poem. He had recited it to Jacqueline on their first night together at Hyannis, following their honeymoon in 1953. Jacqueline later committed the poem to memory and frequently recited it back to her husband. She then taught it to Caroline. 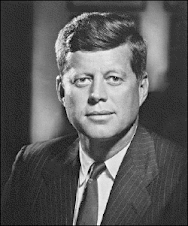 In his well-researched book, "Why Was JFK Killed and The Unspeakable," author James W. Douglass writes, "After Caroline said the poem's final word, `rendezvous,"' Kennedy's national security advisers sat in stunned silence. One of them, describing the scene three decades later said the bond between father and daughter was such that "it was as if there was an inner music he was trying to teach her." 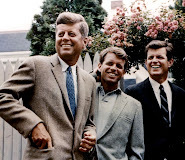 Let it be noted again that Caroline Kennedy, age 5, recited "Rendezvous" on Oct. 5, 1963. 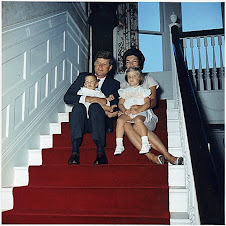 Seven weeks later, her father was assassinated in Dallas.